This broad background taught us how to develop and implement effective marketing strategies and techniques which lead to increased interest in our listings. Ultimately, this insures our clients receive the top value possible for their property. Conversely, when representing buyers we know the various tactics used by brokers and keep our clients from being swayed by their methods. Recipients of this award are identified through surveying home buyers & sellers who completed a sale in the past year. Criteria for the survey included customer service, knowledge, integrity, negotiation, and overall satisfaction. Jason is among the less than 7% of all agents that have received this award. We believe that exceptional sales numbers are only impressive when your clients are pleased with your work and results. Less than 1% of all agents nationally have received this certification. This designation is achieved by successfully completing the coursework and formal training in the art of real estate negotiation. This training has elevated Jason’s negotiation skills which gives our clients a competitive edge throughout the transaction process. This vast experience gives us the knowledge to guide our clients through even the most difficult transactions. In the current environment, numerous obstacles and pitfalls can present themselves through the transaction…it takes a skilled agent to maneuver through them and get to the closing. If there is a difficult situation to overcome, we have likely seen it before and navigated our clients past it. Our experience has taught us how to search for and find solutions to get our clients the result they desire. The biggest fear most people have when hiring an agent is being locked into a lengthy contract with a less than competent person. We eliminate this fear with our No Risk Guarantee. When you hire us as your agents, you can cancel your contract at any time. No hassles. All we ask in return is that you let us know if you are not satisfied in any way and provide us an opportunity to remedy the issue. We want you to be confident with your decision…and enjoy the caliber of service confident enough to make this offer. Jason has lived in Colorado almost his entire life. More specifically, he was born in Denver, grew up in Denver, and we don’t see him ever leaving. Jason has firsthand watched the growth occur throughout the metro area. As a result, he knows the communities in and around Denver better than most. There are many great neighborhoods all over the metro Denver area for people to call home. Knowing all the options and how they compare to each other gives us a distinct advantage over the competition. 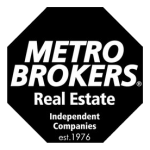 While our primary focus is as residential brokers, Jason is also a co-owner of the Metro Brokers Cherry Creek office. This ownership confirms our commitment to the industry. Additionally, as an owner, Jason is privy to the ongoing sales stats of our 40+ brokers. This helps us identify market trends ahead of others and gives our clients yet another edge. Over the last 6 years Jason has qualified for and been recognized by the Denver Board of Realtors for top sales performance in the industry. Being recognized by his peers as a top performer is certainly gratifying. More importantly for our clients, other brokers want to work with respected top performers in the real estate community. This has resulted in increased showings on our listings as well as accepted contracts for our clients in a tight competitive situations.